Dainty and incredibly pretty this 1950s retro lemon pearl & crystal pendant is the epitome of summer elegance. A gorgeous wedding necklace for the bride or her maids. 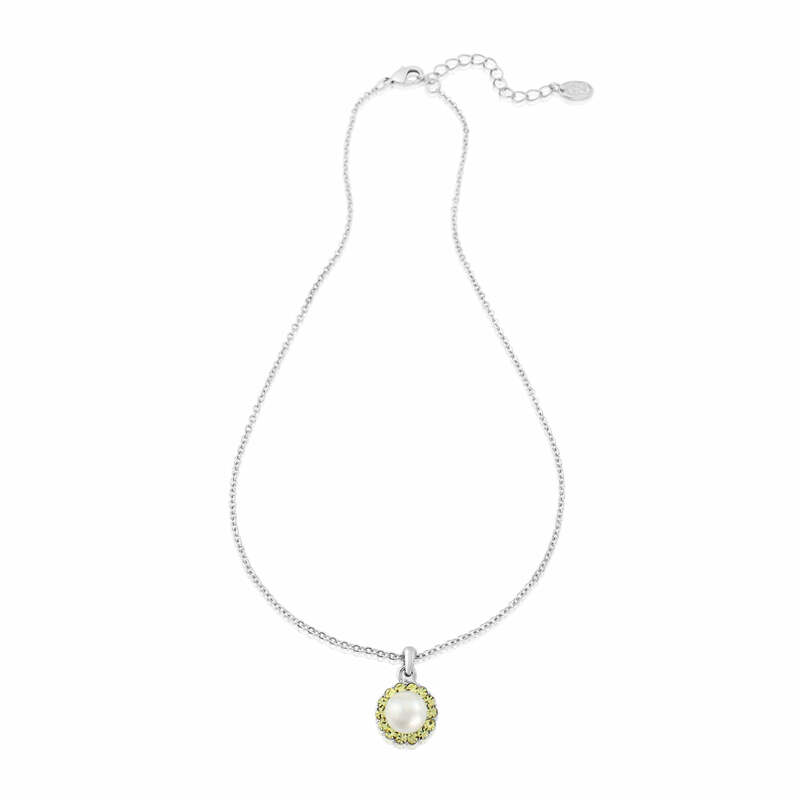 Dainty and delightful, the pale citrus hues adorning our Lemon Dream Pendant are simply mouthwatering. 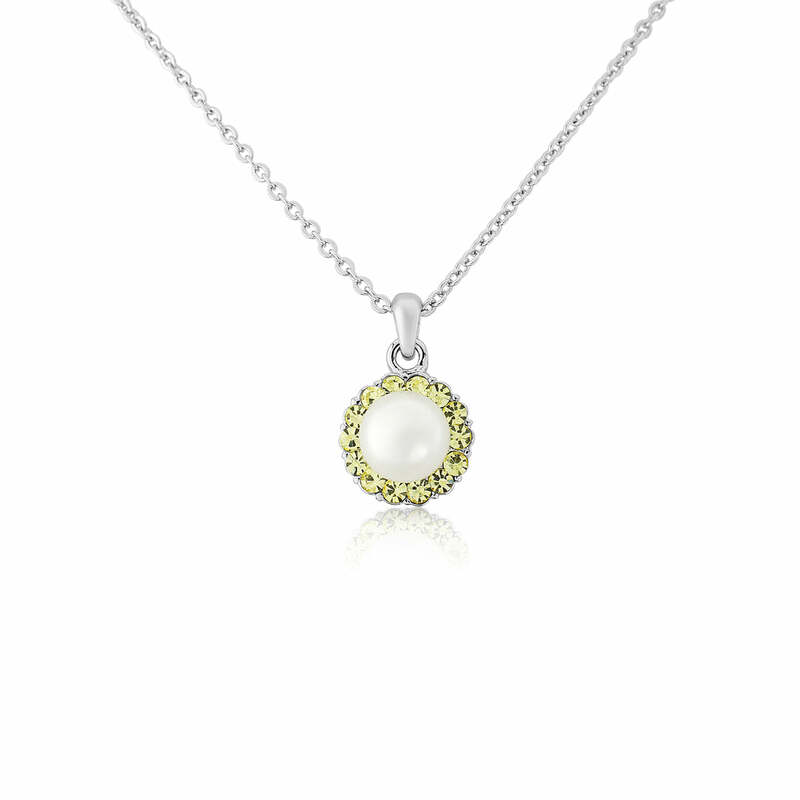 Exhibiting classic retro style, a creamy ultra-pale yellow pearl is perched amid shimmering lemon crystals and set on a silver tone chain. Perfect to add a soft glow to a pretty summer dress for the races or if you’re attending a wedding, flaunt your inner 50s Starlet with vintage charm. Team with our earrings from our beautiful coordinating yellow jewellery collection and embrace the charms of one of the most chic decades in fashion history. Brides looking for delicate yellow bridesmaid jewellery to complement a lemon wedding theme will adore this little gem. Simply add a posy of divine daisies tied with flowing ribbons for subtle, feminine special day style.